OneNation Health Insurance Company is a subsidiary of Anthem Health Plans. 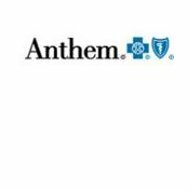 Anthem Health Plan is an affiliate of Blue Cross and Blue Shield. Under Anthem Health Plans, OneNation, specializes in health care, vision, and dental plans for groups, individuals, and families. OneNation provides insurance to individuals in the military as well as Medicare policies to those who qualify. OneNation quotes can be obtained on the Anthem website. Simply click on the toolbox that says, “Shop, Quote, Apply Online.” You can also click on the state within the map provided to receive a quote. However, if you live in California or New York, there are separate links for obtaining coverage in those two states. OneNation offers varying coverage and plans depending on the state you reside. All plans can be reviewed on the company’s website with a downloadable brochure and application form. Once the application is complete, you can mail it to the address listed on the form. You can also contact an OneNation agent should you have any questions or concerns. OneNation offers PPO health insurance plans to individuals and families. PPO plans traditionally include a deductible with established copayments to doctor’s offices. Under the PPO plan, pharmaceutical coverage is also included as well as an annual eye exam. For information regarding the PPO plans, please call (800) 467-1199. OneNation offers Health Spending Accounts known as Lumenos HSA Plus. It is still a PPO plan, but in addition to the PPO coverage, individuals under this policy also have an HSA where they can deposit pretax money to use for upcoming medical expenses. OneNation also offers HSA’s separate from the PPO plans. In fact, you can have an HSA with OneNation, but your high deductible policy is with another insurance carrier. OneNation offers a SmartSense Plus plan for individuals and families who are on a tight budget but need an affordable, good coverage medical plan. Under the SmartSense Plus plan, deductibles and coinsurance are chosen to best meet your financial situation. There is no required waiting period under the OneNation SmartSense Plus plan. You can visit the doctor as soon as your application is approved. Copayments are paid only for the first three doctor’s visits. The OneNation Plus plan permits policyholders to choose between varieties of pharmaceutical plans. OneNation Child-Only Health Coverage is available to individuals under the age of 19. There is an enrollment period during the month of January, which is the only time you can apply for coverage unless there is a huge medical event that occurs. Accepted applicants will receive coverage beginning March 1, 2011. Medical Events, which can effect enrollment and details of coverage, are all outlined in the brochure. Information regarding Medicare Advantage or Medicare Supplements can be obtained by calling (866) 803-5169. If you need Medicare Part D information, please call (800) 243-3363. OneNation offers state-funded programs to Indiana, California, and Virginia residents. These programs include Medicare, Medicaid, and SCHIP plans. Coverage is explained in the member handbook and it varies depending on the state. The contact numbers and mailing address are unique to the state of the policyholder. OneNation provides insurance to military families. Under the OneNation Coverage, there are two plan options: Basic and Standard. The Basic Option does not require any deductibles or referrals. Preventive care is covered at no charge, but there are copayments required for regular doctor visits. Hospitalization and surgery are both covered benefits under the plan as well as maternity, and prescription coverage. The Standard Option coverage is the same except the copay and deductible amounts differ. The Standard Option also permits the mail order pharmacy to be used for prescription refills. The status of a claim with OneNation can be reviewed on the Anthem website by providing your claim number. There is no need to file your claim yourself as it is handled at the health care provider’s office. The site also supplies a FAQ’s section to answer the most common questions. OneNation can be reached by calling (888) 641-5224 or the number on the back of your card. You can email the company by following the links and prompts online. The mailing address varies depending on the plan and state of insurance coverage. National Security Insurance is rated “B” by A.M. Best.